Two of the four NCL round 4 games have witnessed result in just three days. Dhaka Division and Khulna have beat Dhaka Metropolis and Barisal respectively by 5 and 10 wickets. The low-scoring match at Fatullah has witnessed shower of wickets and no team could pass 200 mark in any innings. Dhaka Metropolis were 27 for four at the end of yesterday and they got all out today by 125 runs. Dhaka Division reached the target playing 31.5 overs. Mohammad Sharif of Dhaka Division has been declared man of the match for taking 7 wickets in the match. In another tier 1 game, Khulna simply outplayed Barisal in every department. Barisal were all out by 211 runs; Monir Hossain scored 70 and helped Barisal to set a target for Khulna of 15 runs only. Khulna passed that target in just 1.4 overs. Ashiquzzaman was declared man of the match for securing 6 wickets in the third innings. He took total 9 wickets in the match. In the tier 2 game between Rajshahi and Sylhet, Rajshahi has set a massive target of 330 runs for Sylhet. Farhad Hossain scored a big hundred of 132 runs and Junaid Siddique scored 78 runs. They helped Rajshahi to put 344 runs in their second innings. Sylhet has already lost 1 wicket and their batsmen have a huge task ahead to save the match tomorrow. In Sylhet, Rangpur is in a favorable situation to win the game. 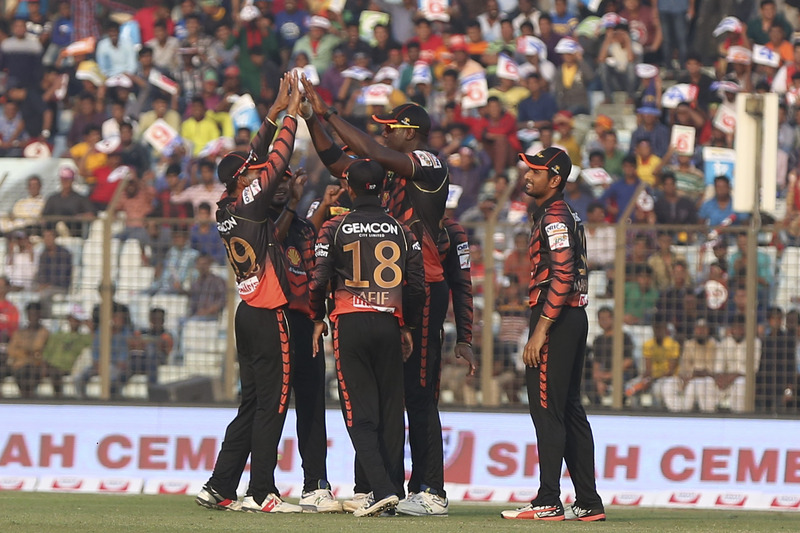 They have forced Chittagong to follow on as their innings got ended by 182 runs in reply of Rangpur’s 450 runs. 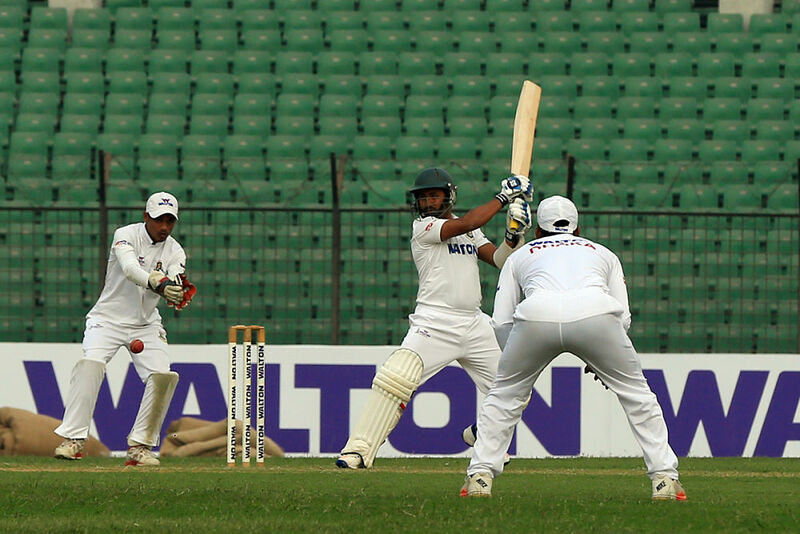 Chittagong are also trembling in their second innings as they have already lost 4 wickets. To avoid innings defeat they have to score another 119 runs with 6 wickets in hand.